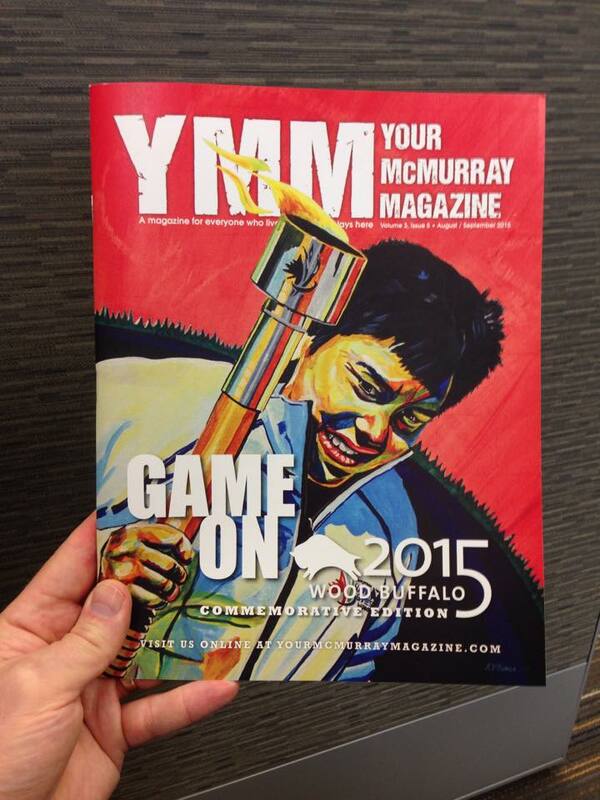 I was asked to think about painting the cover of the #GameOn edition of YMM Magazine in June. I had this image of movement and character that popped into me head, with the 2015 Western Canada Games torch being the focus. 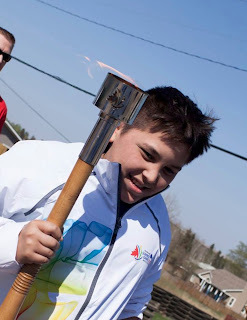 Young James Black from Fort McKay stood out among the collection torch photos that were sent to me. 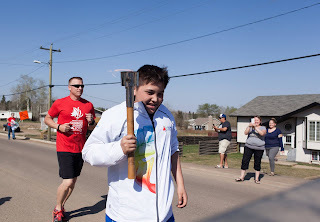 It was taken by Rupinder Singh as the Carry the Spirit Torch Relay went through the hamlet in May. I grabbed the image, rotated it slightly clockwise, cropped it and went from there. 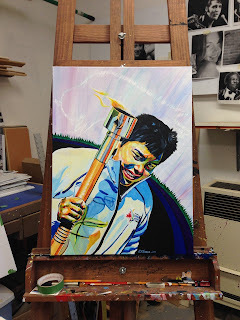 Often, the background is my nemesis. However, when painting "Carrying the Torch", I saw the sky, horizon of trees, and northern lights buffalo almost immediately. I went with it. 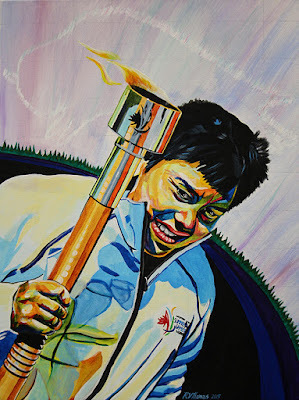 This painting attempts to capture the potential of youth, the spirit of the Games, the exuberance of participation and the belief that anything is possible if you give it everything you've got. The smile in his face expresses all of those things so well. It was an honour to capture the moment. It is an even greater honour to have it on the cover of the special edition of YMM Magazine that has just been released for the Games.